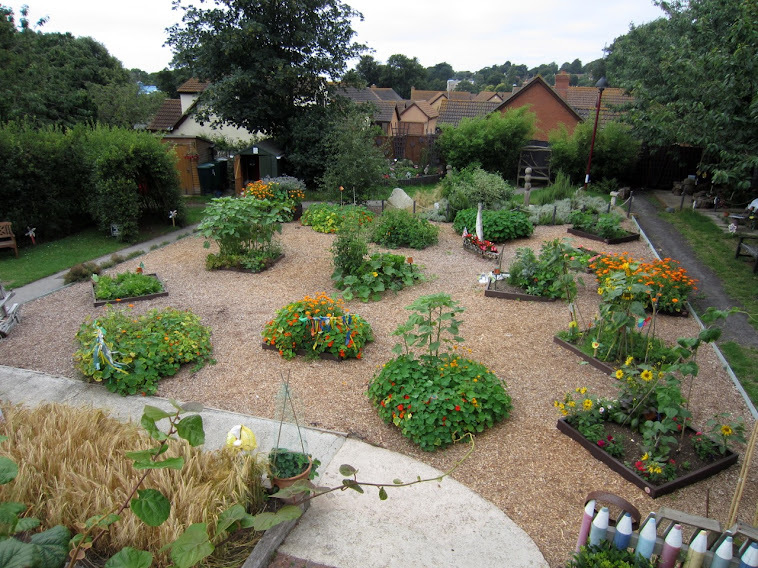 Holy Trinity Primary School Environmental Garden: Forgotten your watch? As from today there is no excuse if you need the time and have forgotten your watch. Just nip up to the Memory Garden. You will of course have to remember if we are on Greenwich Mean Time or British Summer Time. Also you will need the sun to be shining. It is three o' clock. A sundial was installed this morning in the Memory Garden. The passage of time is very important to all of us for many reasons. For this reason we have put the sundial here so that anybody can sit and consider the time past, the time present or the time future. There is now four times as much frog spawn in the pond as the last blog. The frogs have been busy. Some of the frogspawn has been removed from the pond and put in a bucket under the pond dipping platform. This because the Herons and the Blackbirds will eat the frogspawn if they get a chance. The spawn left in the pond has had a net put over it to hopefully keep the birds away. Anybody wishing to get a close up of the frogspawn without having to peer into the pond can observe it in the bucket. When the tadpoles have hatched we will put them back into the pond. Unfortunately the dragonfly larvae also eat small tadpoles but they will have to sort things out themselves. The pond sign was repositioned today on two sturdy green stakes. In we go - head first! It did seem like Spring today so hopefully things are now turning and we can say goodbye to winter. It is another chapter in the passage of time!